The media is full of messages concerning physical exercise and fitness, but do you ever hear a message about effectively exercising your brain? Preoccupation with general wellness should always include an approach to keeping a healthy brain. When you begin to forget things, the natural fear is that you could be developing Alzheimer’s Disease. The reality is that most memory loss is not caused by Alzheimer’s but by other causes like the medication you take, or not getting enough rest. Don’t worry! You can exercise your brain, same as your body, to effectively improve your general health and push back the aging process. Use the 7 steps to a healthy brain outlined by Dr. Isadore Rosenfeld of Fox News Channel, to improve your general wellness. Normal blood pressure values fall into the following categories: Less than 120 systolic and less than 80 diastolic. This would typically be phrased as 120/80. The peak pressure that occurs within the arteries is systolic pressure. The moment of lowest pressure within those same arteries is called diastolic pressure. The pressure within the circulatory system is not fixed. It fluctuates throughout the day and as often as beat by beat of the heart. Numerous studies have been conducted on the effects of sleep deprivation. Not getting enough sleep can slow the healing of wounds because it affects the immune system. A study on sleep deprivation conducted in 2007 found that the part of your brain that holds information for more processing is seriously affected by lack of sleep. 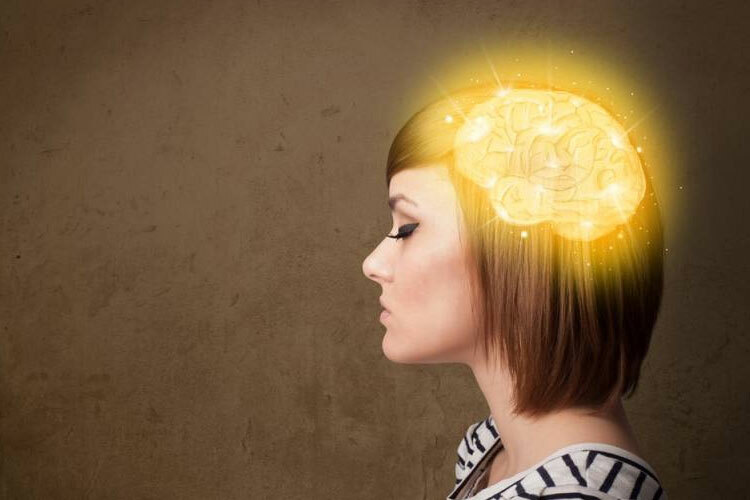 This area of the brain called “working memory” is also responsible for your reasoning and decision making abilities. Both Omega-3 and Omega-6 are significant to brain function and lacking in the typical diet. A study has revealed that, like Alzheimer’s, Parkinson’s Disease may be favorably affected by large doses of Omega-3. Vegetables and fruits have necessary minerals, fiber, and vitamins crucial to good health. Eating more from this food group is known to slash the risk of certain cancers, stroke, and cardiovascular disease. 5) Keep Socially Active. Spend Time Doing Puzzles Like Sudoku and Crosswords; Read A Newspaper, Magazine or Book Daily. The British Association Festival of Science reported that seniors who engaged in crosswords and sudoku puzzles could help keep the brain nearly 14 years younger. Reading exposes you to different ideas and concepts. Whether aware of it or not, your brain will use those concepts to view the world and begin making new connections which stimulate brain health. Excessive alcohol consumption affects abstract thinking, concept shifting and difficult memory tasks as evidenced by alcoholics in treatment, even though their overall IQ does not decrease. Even moderate alcohol consumption could shrink the brain which impairs cognitive functions. Exercise fuels growth of blood vessels connected to the brain and new brain cells. This adds to mental alertness, especially if you are over 60. You can wear a good waist trainer to provide a back-support to avoid back pain happen during the workout. Both the Department of Agriculture and the Department of Health and Human Services point out that a minimum of 30 minutes of physical exercise daily is needed to reduce the risk of falling prey to chronic diseases. As the medical community increases your ability to live longer you will have to give more emphasis to brain health and exercise. Maintain your brain just as much as our bodies to enjoy a long, healthy and happy life. Follow the 7 Ways to a More Healthy Brain as part of your regular physical fitness routine. You will feel healthy, more intelligent and productive. Now, who wouldn’t want all that? What Good Can You Get From A Raw Food Diet? Here is your writer and publisher Candance Parker. She is an independent writer and writes actively and strongly for the readers. She is an active worker for her website. i Mom Guide can help you with how you can cooperate with your family especially if you are a young mom of teenagers. All about parenting and Family.